In my youth Socrates was my hero, an intellectual superman, questioning everyone and everything, and his dignified but unjust death at the hands of the Athenians made him my favorite ‘good guy’ in history. Now, older and humbler, I am not so sure. Antifragile:Things That Gain from Disorder, the latest book by Nassim Nicholas Taleb, contains an imaginary dialog between a street-wise, earthy character called Fat Tony, and Socrates. “The problem, my poor old Greek,” Fat Tony tells Socrates, “is that you are killing the things we can know but not express…You are taking the joy of ignorance out of the things we don’t understand. And you have no answer.” Fat Tony tells Socrates that he is being put to death because he is making people miserable by his persistent questioning of cherished beliefs. 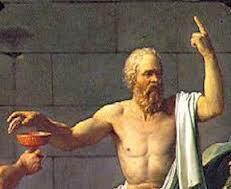 Socrates specialized in getting people to admit that they did not understand the concepts they were using, but in a scathing attack on the view that the unintelligible is the same as the unintelligent, Fat Tony asks Socrates whether a child needs to understand what is in mother’s milk to need to know to drink it. Fat Tony concludes by telling Socrates that life must not be limited solely to what we can understand. Taleb’s critique of the overuse of rationalism is not original. Friedrich Nietzsche devoted his first book, The Birth of Tragedy, to criticizing Socratic thought, which he identified with science and modernity, and the view that everything is ultimately knowable. Science, he wrote, had started in optimism but had arrived at pessimism, because science now doubted both its own infallibility (nuclear Armageddon, grey goo and artificial life anyone?) and it’s foundational integrity (the Kantian critique that all our knowledge is filtered through our perceptions so man knows nothing about the world as it would be if man’s “head were cut off”). Even if the Socratic method fails to survive this withering barrage of criticism, surely the man himself, the upholder of free thought, free speech and liberty in general, remains a secular saint deserving our reverence? Not according to I.F. Stone, who wrote a remarkable book called The Trial of Socrates, in which he accused Socrates of being, among other things: a lousy husband, a deadbeat, a narrow-minded hypocrite and an elitist snob. There is no proof that Socrates wrote anything so most of what we know of him is learned through the dialogs of two of his students, Plato and Xenophon. In these dialogs Socrates is portrayed as showing contempt for democracy and never ceasing to praise the totalitarian government of Sparta. Socrates repeatedly scoffed at the notion that ordinary people – workers, merchants, farmers – could possibly govern themselves as wisely as a caste of ‘experts’ who had philosophical training. At his trial, Socrates was accused of corrupting the youth of the day, but these youths were the spoilt children of wealthy oligarchs, who had never reconciled themselves to the enfranchisement of the middle and lower classes. These same aristocratic students showed themselves quite willing to put Socrates’ elitist teachings into practice through murder, treason and theft, providing at least one convincing reason why Athens, against its own traditions and customs, might have been persuaded to get rid of Socrates. Stone eventually concludes that, in a final act of recalcitrance, the 70-year-old Socrates actually sought his own conviction and execution rather than acknowledge any virtue in popular sovereignty. However, by doing so he also condemned his wife and young children to a life of poverty and social humiliation. From this perspective his willingness to die seems not brave but irresponsible. Thank you for presenting another side of Socrates, demonstrating the many ways he fell short of living as a superman or a saint. Surely this lesson can be applied to anyone who has made enlightened and enduring contributions to humankind. One history has it that Socrates criticized democracy on the grounds that no one understands themselves well enough to know what’s good for another man. This is a profound insight most people have yet to understand. Malcolm, perhaps approval was not intended in Socrates’s stipulation of the business of the ruler. Your refreshing, scholarly, engaging, and enlightening writings are an absolute delight. Thank you for this treat. Unfortunately, Socrates held this view, not in humility but in superiority! In Plato’s account of the trial Socrates claimed that he had a mission in life, to go about and question his fellow townsmen to see if there was anyone among them wiser than he. What he found was that while he knew nothing, all the others he questioned knew less, because they were not even aware of their own ignorance. So Plato’s Socrates considered that he was superior to the rest of mankind. Furthermore, his interlocutors felt that the Socratic mode of interrogation was humiliating and infuriating because Socrates’s self-proclaimed ignorance was ostentatious and pretended. Those he questioned felt that Socrates was laughing at them. I ♥ the Socratic method. I’ve often wished we could take the classroom outside to the track field and walk around it to discuss and think about concepts. It makes perfect sense to stimulate the mind while thinking. Sitting still in chairs is a horrible way to create and solve problems. Nice post! Thank you Cindy, that’s a great point. I suggest that one reason this is not encouraged is that the teacher loses control, there are too many random variables outside for the education experience to be completely ‘managed’. The result is that the student exchanges an empirical reality-based education for a theoretical and artificial educational experience. Just my half-pennies worth. Cindy, I hear you when you say “the system demands compliance” and “teaching to a test is not true learning”. I see how the love of learning is sacrificed to feed that “beast”. As to artificial theories a simple example will suffice to explain what I mean. When I go to the gym there are plenty of theories as to why lifting weights builds muscle mass. I used to be told it had something to do with breaking down muscle fibers so they can regenerate. Nowadays I am told it has something to do with a growth hormone. However, for thousands of years people have experienced the phenomena that lifting heavy weights builds muscles. The theories change all the time but the experience stays the same. Nice analogy. That’s why I lean toward the wisdom of elders rather than any media guru who has the magic pill or book. I do love how Socrates wasn’t content with the status quo and felt free to pose others to think through his questions. The other side of him…not so appealing. I wonder what you would think of Socrates today if you met him in the street and he stopped you, wanting to ask you a bunch of questions that made you feel small and foolish. Thinking of him this way it’s not difficult to understand why some people thought him an arrogant, intellectual snob. Wonderful post, Malcolm. Thank you. “Socrates repeatedly scoffed at the notion that ordinary people – workers, merchants, farmers – could possibly govern themselves as wisely as a caste of ‘experts’ who had philosophical training.” Replace “philosophical training” with Harvard degree or other symbol of wisdom, and we could be talking about today. It seems that those who view themselves as having exclusive abilities to govern others, as well as those who instruct them, have always indeed “governed.” Given our current trajectory, the ultimate ideal could soon be reached with a general public admission that Socrates was right, and soma pills are the only answer. Malcolm, I thoroughly enjoy to read your posts again! Hanne, why am I not surprised that you were not surprised at this statement. You have always known the limits of reason. Isn’t the point of critical thinking to attack cherished beliefs? Ben, thank you. Yes, it is, but the Socratic method has been taken to the extreme, leading to the modern day religion of secular humanism, the hubristic belief that salvation can be found in the pursuit of progress and technology. The first half of the post summarizes some of the criticisms of this position. Do you mean religion in a negative or positive sense when you call it religion of secular humanism? I’d like to hear more about your concept here as it seems very interesting. Thank you Ben. I just mean that secular humanists who attack traditional religious beliefs don’t realize that their worship of technology and progress and their irrational belief in salvation through science, are just another set of religious beliefs. I elaborated on this in a little more detail here but I would be happy to discuss this further with you off the blog if you wish. Ben, I just sent you an email. I wonder where you think the line is between critical thinking and destruction for the sake of destruction? Ben, thank you, that’s a great question and not an easy one to answer. I think you have already started to cross over to faith when you come to believe that it’s possible for reason to comprehend everything, even in theory. For example, evolution works by rewarding successful survival strategies so, even if we don’t understand something completely, we should at least give give nature the benefit of the doubt over the latest theory du jour. Also, as I explained in answer to Cindy Bruchman’s comment theories come and go but the phenomena to be explained does not change and yet we continue to privilege the theoretician over, say, the tinkerer who has actually contributed far more to society. Finally, there is the almost religious view that somehow science will save us from ourselves and ultimately solve all our problems. This seems naïve to me as scientific progress will always outstrip moral progress, leading us to possess incredible power which we increasingly lack the necessary judgment to handle safely. I have always been amazed by people who say they admire Socrates and his method, his wisdom and so on, yet if you ask them whether they approve of democracy, they say Yes, and if you ask them whether they believe the running of the country should be in the hands of the financial elite – who thereby can make themselves the educated and perhaps intellectual elite too – they say No. Yet the historical texts tell us these are the only two precepts Socrates professed: end democracy and bring back government by nepotism. It is true that his students Plato, Xenophon and, at a distance, Aristotle extrapolated his profession of ignorance into a prototype of the scientific method (I mean Aristotle’s empiricism and deductive reasoning, which Plato was already getting at in The Republic). We cannot credit Socrates with this, though. All we can attribute to him is the irritating habit of pestering people as they bustled about the agora, trying to stir up civic unrest and revolution at a time when Athens was under multiple threats of invasion and destruction and was trying to protect the form of government which has demonstrably, over the last 2,500 years, achieved the highest levels of economic and social success. It is hardly any wonder the Athenians saw him as the enemy within. He was. Glad to have you back and I was so happy to get validation of this post from a classics scholar like yourself. I only recently became disappointed with Socrates and haven’t felt the same since. Is nothing sacred? Or maybe Pythagoras, who claimed beans have souls, that women and black things represent pure evil, and formed a cult based on a religion of vegan geometry. He was killed in a lynch mobbing – he could easily have run away, but was in a field of legumes and refused to “murder” them by knocking them off their stalks. That’s hysterically funny about Pythagoras. I assumed you were joking but just researched Pythagoras’ death and found you were spot on. As you say, a nutter and bonkers to boot. But don’t forget that Socrates never left Athens—his lifestyle depended on a democratic society. His relationship to it is a bit more complicated than I.F. Stone’s presentation of Socrates as a mere elitist (or Spartan sympathizer). That’s true. Socrates criticised democracy yet it was only because he lived in a democracy that he had the freedom to criticise the system openly. I find the parallels interesting in some modern Muslim countries, where people who want an Islamic government and Sharia law use the democratic system to rise to power, fully intending to stop the democracy once they have gained control. I used to live in Turkey, where there was lots of talk about this, and worry that the Islamists would try to end the democracy that the Turks hold so dear. It’s interesting to think of what Socrates would have wanted politically. He criticized everything so thoroughly it’s hard to imagine any actual polity would have been good enough. In any case, he probably thought democracy was the best he could get given his purposes. They wouldn’t have let him go mouthing off in Sparta! Thank you. If you feel like it I would be interested in hearing how you feel Stone’s presentation of Socrates is incomplete. I waded through some criticism of Stone’s book but found much of it patronizing because Stone was not from academia. I.F. Stone paints a portrait of Socrates in exclusively political terms, which makes for an overly narrow view. It’s an important part of Socrates and deserves to be mentioned, but I don’t think Socrates should be reduced to mere political motivations. Thank you. Book recommendations like this are one of the great rewards of blogging and I have already downloaded it to my Kindle. I look forward to reading her other comments on Socrates. If you feel like checking them out! Thank you. I did check out the links and enjoyed your review and interview. It was great that Rebecca replied to your questions. I tried to leave a comment but kept being asked for my Facebook login so I passed. Oh don’t you hate when that happens? Thanks for reading my posts! Yeah, when Rebecca replied, I was really shocked. I sent some questions to her website and didn’t expect anything in response. She not only did she respond, but did so nearly immediately. I really like her writing. “Plato at the Googleplex” doesn’t just skim the surface, which is all I really hoped for when I started reading it. She’s a careful scholar and yet very readable as well. It’s a rare quality. I wonder if it has to do with the fact that she also wrote a novel, “The Mind Body Problem” a long time ago. Yet the bottom line is that he chose to “teach” these things to random members of the public in the agora, while they were trying to do their shopping, make offerings in temples etc – if you are genuinely trying to teach something important, you choose the right moment to explain it. And you do make sure they understand what you are teaching them – not send them off getting the wrong end of the stick. I just wrote a response, but I think I just lost it…oh well. I’ll write something like it again and I apologize if it did in fact go through! It’s true that Socrates never wrote anything down, so we don’t have that 1st person account. However, we do have a few perspectives other than Plato’s, such as Xenophon’s. He offered a different portrait of Socrates—a priggish moralist comes through and it makes Socrates seem much less admirable. Then there was Aristophanes in The Clouds. Writing about Socrates became a sort of genre. We also have some sense of Plato as separate from Socrates based on Plato’s dialogues themselves. Of course, this is an area of scholarly debate, but I think most believe that something of Socrates can be accessed independently of Plato, it’s just a tricky matter. For example, most believe that Socrates was more concerned with morality—how one ought to live—and less interested in metaphysics. I tend to agree with this view. There’s nothing I can point to that would be a slam dunk proof, but just a sense while reading the dialogues that sometimes Plato uses Socrates as a mouthpiece for his own ideas, and other times he doesn’t. The “earlier” dialogues present a more historical Socrates, in my opinion, and dialogues such as the Timaeus feel more like Plato. While there is considerable debate about what is Plato and what is Socrates, and even whether Plato positively put forth theories, I think most consider things like the theory of recollection to be Plato’s. I’m not sure the scientific method came from the Socratic elenchos. Plato’s Socrates seeks true definitions of things: What is justice? What is courage? Etc. In his dialogues with various figures, he often directs them to internal inconsistencies, but rarely to any positive definition. Dialogues such as Ion and Meno are examples. The Gorgias and The Republic (for example, there are others) might be exceptions to this, and here Socrates really tries to persuade his listeners of a positive view. Here, though, I think Plato is divorcing himself from Socrates. In either case, I don’t see much of a scientific method entering the picture, but I suppose that depends on what you mean by “scientific method”. If by “scientific” you mean something closer to “episteme” than maybe that would make more sense, but it’s it’s not what people think of when they hear that phrase nowadays, which now means exclusively the natural sciences. As far as the scientific method goes, I would say Plato’s student, Aristotle, has more to offer in that realm. A jewel! Know-it-alls and Think-we-can-know-it-alls are the ruination of this world. Thank you for reblogging this post Mike. Much appreciated.